There are two bands with the name Crossfade. 1. An American post-grunge band 2. A Swedish pop rock band 1. Crossfade is an American rock band from Columbia, South Carolina. Their current members are Ed Sloan on lead vocals and guitar, Les Hall on Lead guitar, keyboard, and backing vocals, Mitch James on backing vocals and bass, and Mark Castillo on drums. Since their formation in 1999 Crossfade has released two studio albums - their platinum selling self-titled debut album in 2004, and Falling Away in 2006. 1. Crossfade is an American rock band from Columbia, South Carolina. Their current members are Ed Sloan on lead vocals and guitar, Les Hall on Lead guitar, keyboard, and backing vocals, Mitch James on backing vocals and bass, and Mark Castillo on drums. Since their formation in 1999 Crossfade has released two studio albums - their platinum selling self-titled debut album in 2004, and Falling Away in 2006. 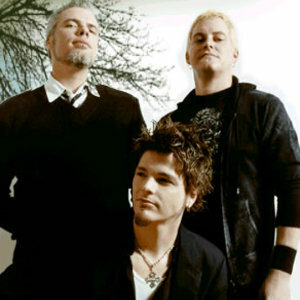 The Dear Cocaine Songfacts reports that their third album, We All Bleed, was the band's first since signing with Eleven Seven Music and was released on June 21, 2011. 2. Crossfade is a rock-pop band from Sweden. The band consists of founding members Lars Hallb?ck (lead guitar) and Richard Stenstr?m (keyboards). Lead singer is G?ran Edman (Yngwie Malmsteen). The 'rhythm twins' are the brothers Per Lindvall (drums) and Sven Lindvall (bass guitar), both of them seasoned session musicians. Their only album "White on Blue" was released in 2004. A second album is being released in TBD 2011, called "Secret Love"